Most of today’s chronic health issues – from psoriasis to depression to Hashimoto’s – stem from an autoimmune response in an unhealthy gut. For two decades, Dr. Susan Blum has been providing relief to her patients by getting to the root of their chronic illness through a ground breaking whole body approach that with precision, addresses the physical and emotional roots of these issues. The most effective testing to see if you have gut issues and how this test is also a tool to feeling relief you didn’t know was possible. This is important because not all gut issues show up in your digestive system! The nitty gritty details of gut healing, including expected timelines, when pre and probiotics make sense and how you don’t have to eat “perfect” to be able to get relief. How much stress influences gut issues and how much weight you should give to stress relief in relation to dietary changes. The % will surprise you! This also lead to a discussion on Dr. Blum’s own spiritual anchors and beliefs that guide her, including her own health challenges she recently recovered from. A true pioneer in Functional Medicine, Susan Blum, MD, MPH an Assistant Clinical Professor in the Department of Preventive Medicine at the Icahn School of Medicine at Mount Sinai, has been treating, healing and preventing chronic diseases for nearly two decades. Her passion and dedication for identifying and addressing the root causes of chronic illness through the groundbreaking whole body approach known as Functional Medicine, has helped thousands of people and is transforming our healthcare system. 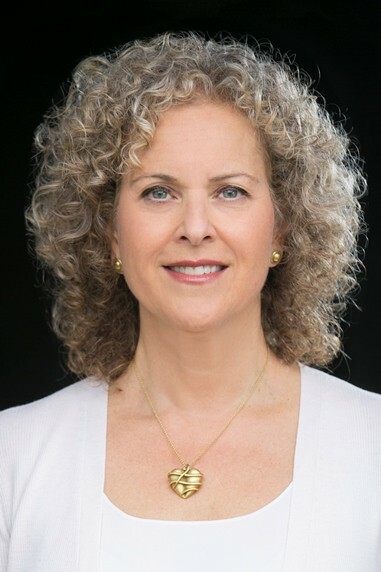 A Preventive Medicine and Chronic Disease Specialist, Dr. Blum is the Founder and Director of Blum Center for Health in Rye Brook, New York, where she leads a large, multi-specialty team of physicians, nurse practitioners, nutritionists and health coaches, all providing cutting edge Functional and Integrative Medicine services. Dr. Blum brings the collective experience and wisdom from both her own medical practice and that of the team to her books and online programs. This strong foundation of expertise explains why her programs are so successful. In her first best-selling book, The Immune System Recovery Plan (Scribner; 2013), Dr. Blum offers her four-step program, which she has used to help thousands of patients recover from autoimmune and immune-related conditions without medication. Dr. Blum also created an online companion for the Immune System Recovery Plan to provide additional support. She recently launched a new digital platform, blumhealthmd.com to expand these programs by including a targeted HealMyGut program and providing individual and group coaching. Dr. Blum’s second book, Healing Arthritis (Scribner; 2017) offers a unique, ground-breaking approach to helping arthritis sufferers reverse and even heal this condition. As a companion to her new book, Dr. Blum has created a comprehensive online program, the Arthritis Action Plan. As part of her vision to help people adopt a healthier lifestyle, Dr. Blum co-founded Organic Pharmer, a healthy grab-and-go food and juice cafe that opened in 2014, where she oversees all menu items to make sure that they follow the principles of Functional Medicine. Today, Organic Pharmer has two locations in New York but delivers nationwide. Dr. Blum is a member of the Medical Advisory Board for The Dr. Oz Show, the Institute for Integrative Nutrition, and Senior Teaching Faculty with the Center for Mind-Body Medicine in Washington, D.C. and teaches throughout the world in their training programs. She is also on the Board of Directors for the American College of Lifestyle Medicine’s True Health Initiative. She has appeared on The Dr. Oz Show, Fox 5 News, ABC Eyewitness News, and is regularly quoted in Real Simple, Harper’s Bazaar and Redbook, among other publications. Dr. Blum is on the Medical Staff at Greenwich Hospital, completed her Internal Medicine training at St-Luke’s Roosevelt Hospital, her residency in Preventive Medicine at Icahn School of Medicine at Mount Sinai in New York City, and is Board Certified in Preventive Medicine and Integrative and Holistic Medicine. She received her Masters in Public Health at Columbia University, and her Certification in Functional Medicine from The Institute for Functional Medicine, in Gig Harbor, Washington. Dr. Blum approaches medicine—and her life—from a whole body perspective, incorporating all facets of wellness into every aspect. She begins each day with a 20-minute meditation, a green smoothie made from the contents of her garden and a walk on her country road with her dog, Trixie. She lives in Armonk, NY with her husband and has three grown sons. Subscribe to Insatiable, the iTunes New & Noteworthy podcast for progressive, holistic health-care providers and real people fed up with fixing and fighting food. I have been diagnosed with Hashimoto thyroid. My TPO AB levels went from 254 down to 124-150 range after putting myself on a semi- AIP diet. We have GHI Emblem Health and I live in Mamaroneck. I am interested in setting up an appointment with your office. I just sent you an email Cheryl. Looking forward to connecting. I’m Ali Shapiro, MSOD, CHHC and founder of Truce with Food®. I’m a holistic nutritionist, integrated health coach and rebel with a serious cause. Take the What's My Comfort Eating Style? quiz to discover what's keeping you stuck, fighting and fixing your body. A holistic health membership community where we change the question from "How do I resist food temptations?" to "How do I become the person who is no longer tempted by food?" WHY AM I EATING THIS NOW? Use emotional intelligence and adult development theory to guide you through why you eat and resolve these patterns so that you can stop your "white-knuckle" relationship with food and stress. A personalized, online coaching experience to create lasting food freedom. Join our healthy rebellion to release old stories, patterns and habits and call a truce with food. ALI SHAPIRO,TRUCE WITH FOOD® | Copyright © 2019 Ali Shapiro, LLC. All Rights Reserved. No part of this website may be reproduced without Ali Shapiro's express consent.